When it comes to creating killer content for websites and blog; there are two main keys which you should take into consideration: creating a high-quality content that will draw people attention and increase conversion and broadcast the content to reach a broader audience. The best way to get your websites into the world is to create an optimized content and make it visible in search engine. Even though these two items, good quality content, and search engine visibility, probably appears weird as it is two different things; however, those two points is essential for marketing goal. The website content should be written in a dynamic tone, well-written, give benefit and also inform valuable knowledge to the audience. Nevertheless, no matter how well you write the content; it will be useless when it remains in the bottom of the website. Content with high SEO rank can stand out in the top list of the search engine; however audiences today are smarter and if you just simply write content with keywords, they will walk away. 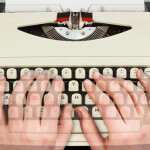 Here are some points that can help you create good SEO article writing. When you are planning to upload content on your websites; it is better to take some time to make search engine such as Google recognize your effort. It is better to do some research for what the popular keywords or phrases that most people search. Make sure to keep track on how often you should work on the keywords for the website content. You can use a certain tool to keep updated for the targeted keywords. For a maximal result, it is not enough to use 2-3% of keywords in the content. You need to write the keywords in the title of the text or website content and also use it in the first as well as last sentence. Through this way, the keyword will appear in the top list of the search engine which then draws people attention. You have to keep in mind that people searching for certain keywords in the search engine because they eager to know about the keywords. Therefore, if you can give them what they want; in return, you will earn more clicks and improve the conversion rate. That is the little secret from experienced SEO article writer. If your website is newly launched; you certainly think that 100 words of good writing article are still better rather than no post. For your information, surprisingly, search engine tends to more prefer longer web content. Consider for posting 300 words or if it is possible 500 or more words article. However, make sure not to write the extra long sentences and paragraphs. In simple, the content should be long enough, straight to the point, and use proper language, grammar and aesthetic. 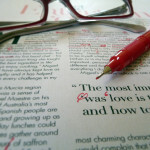 If you are curious of what the difference between experienced SEO writer and common people; the answer is self-editing. There is plenty software which can make the language checking easy; however, that program cannot fulfill the aesthetic aspect of the content.